Quebec City – September 10, 2018 – UFCW Local 501 is calling out a Quebec City employer for declaring that it will be shutting down its operation and needlessly putting hospitality and tourism workers out of a job. 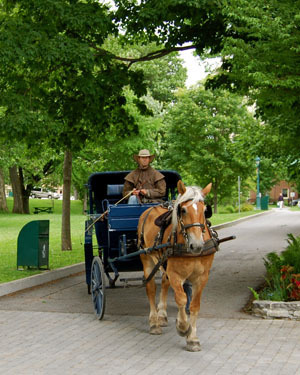 The employer in question is Calèches Québec, which provides horse and buggy services to tourists who visit Quebec City’s old town every year. The Local 501 members work as coachmen and grooms who care for the horses and provide scenic rides for families visiting one of Canada’s most historic places. In a statement, UFCW Local 501 expressed its frustration over the company’s announcement about closing down operations, even though the members and their union are fully committed to negotiating a fair contract through the assistance of a conciliator. The Local also reports that to date Calèches Québec has demonstrated little to no interest in securing another contract. Furthermore, the company has refused to discuss the union’s most recent offer, which includes a number of measures – like wage freezes – that support the employer in meeting the needs of the business.